Smart light bulb pioneer LIFX continues to innovate in the space, with its Frankenstein’s-head-shaped bulb continuing to lead the pack on everything from build quality to software features. Little of physical significance has changed with the bulb in the last couple of years, as it retains its somewhat odd, oversized cylindrical design. Responding to concerns that most of the light emits upward from the bulb (or downward, if installed in a ceiling can) instead of to the sides, where it is needed in a typical lamp environment, LIFX has seemingly chosen a brute-force solution: Now packing 1,100 lumens of power, the LIFX A19 stands as seemingly the most powerful smart light bulb on the market. And in my testing, its brightness was unmatched by the competition. 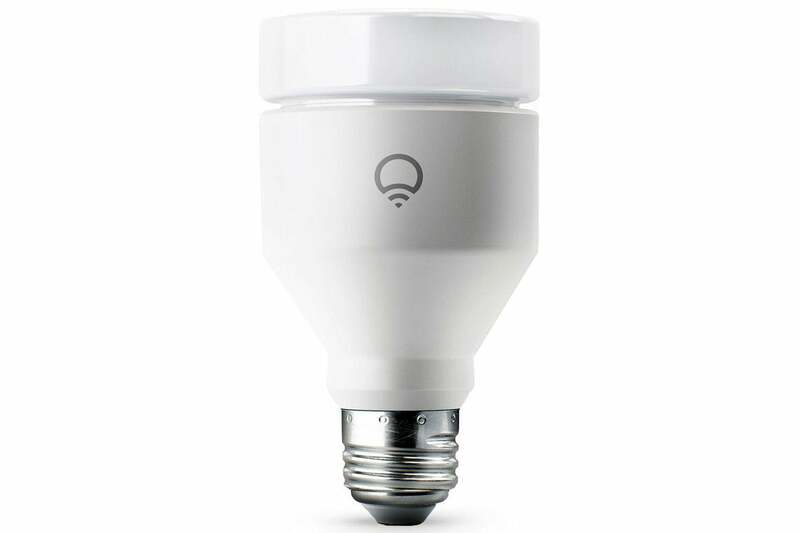 In simple terms, the LIFX A19 is essentially the same bulb as the LIFX+, which adds an infrared nightlight to what is otherwise a standard, color-tunable smart bulb. Here, the night vision feature is simply stripped out. Compared to the LIFX+, the bulb is the same shape, size, and weight (both are a hefty 0.46 pounds), and it carries the same luminosity. It is slightly smaller, a bit brighter, and a few bucks cheaper than 2016’s LIFX Color 1000, which has been discontinued. The other new trick with the 11-watt LIFX A19 is HomeKit compatibility. Bulbs can be set up manually over Wi-Fi, using the standalone LIFX app, or through HomeKit, if you have an Apple TV working as a HomeKit hub. If you do use HomeKit, you’ll find that bulbs appear within the iOS Home app and behave like any other color bulb, with dimming, color tuning, and scheduling features all within easy reach. That’s not a requirement, though; as with all LIFX bulbs, no hub of any kind is required to use the A19. You can also control any of LIFX smart bulb with voice commands via an Amazon Echo, Google Home, or Apple HomePod. The LIFX A19 remains ultra-bright, even if its shape isn’t ideal. The LIFX app is, as usual, more powerful than HomeKit can give you, and it was revamped last year with usability clearly at top of mind. 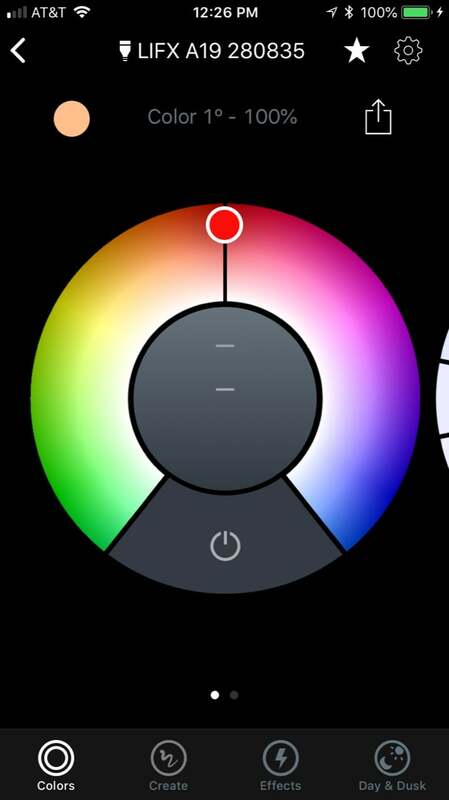 Separate panels let you switch between color tuning and white color temperature tuning, with a simple dial giving you an easy color wheel to choose hues from and a dimming slider in the middle of the circle. The app offers several prebuilt themes, ranging from “blissful” to “Halloween,” plus eight specialty modes that range from a music visualizer to candle flicker to “spooky” mode (which you can pair with “Halloween” for best results). LIFX’s color wheel makes picking a shade simple. 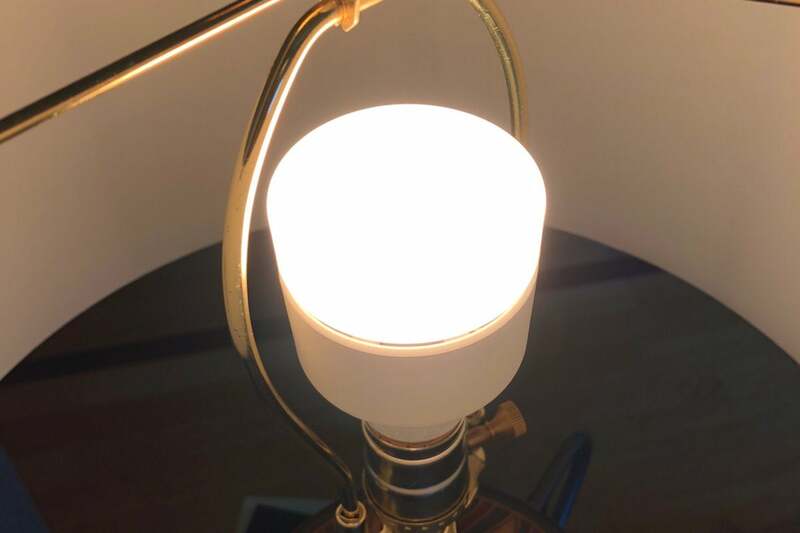 LIFX’s “Day & Dusk” system, which automates lights turning on to an energizing cold light in the morning and slowly fading to a relaxing warm light at night, is also enabled for this bulb. With years of testing under its belt, the LIFX app worked flawlessly in my testing and is intuitive enough for novices while offering plenty of features for power users. While LIFX bulbs remain on the expensive side, that gap has closed enough to make LIFX a top-tier bulb worth considering for any environment where tunable color is on the menu. 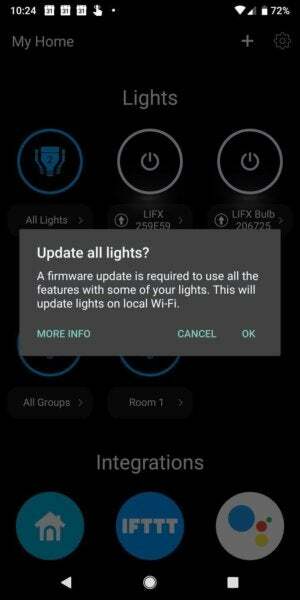 This story, "LIFX A19 (2018) smart bulb review: The Wi-Fi bulb to beat keeps getting better" was originally published by TechHive. LIFX’s top-of-the-line bulb gets even better: It’s brighter with a slightly smaller physical profile.